"What does it mean to live as a Christian? How should we live our daily lives? One way we read of in Scripture is to be filled with the fruits of the Holy Spirit. The new Living Fruitfully series addresses each of these fruits in turn, beginning with Chastity, Joy, Self-Control, Generosity and Patience. The series explains how we can live out the fruits of the Holy Spirit in our lives, drawing from the wisdom and experiences of the saints. The saints, far from being perfect, battled as we do to embrace these fruits daily, like St Augustine who famously prayed, "Lord make me chaste, but not yet!" and St Therese of Liseux who was a very wilful child. Seeking inspiration from them in these booklets, we can learn to live our lives in a way worthy of believers in Christ." "This booklet is one in a series, Living Fruitfully, which explores the fruits of the Holy Spirit - what they are, how they operate in the life of a disciple of Christ, and how the saints show us the way these fruits are manifest and reveal the process of sanctification at work. 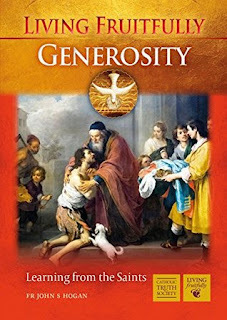 The fruits are given liberally by God, and among them is the fruit of generosity." "Generosity is a fruit that is given so we can fulfil Christ's command to love God with all our heart, all our mind and all our strength (Mk 12:30), and love our neighbour with a selfless and Christ-like love. It is no wonder that this call to give love to God is the Jewish profession of faith, the Shemà (Dt 6:5): it is meant to be the expression of ours." And then the book has an examen focusing on this specific fruit that concludes with a prayer of St. Ignatius of Loyola. This book was released in January of 2018, it was preceded by three volumes and has been followed by one. I can only hope the series continues and we receive one volume on each of the fruit. 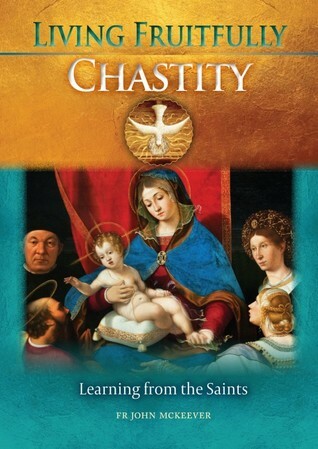 This book is a great little read, I look forward to the other volume by Father Hogan, and if the rest of the series. If is as good as this book we are in for some life changing reads! Author profile and interview with father John S. Hogan. 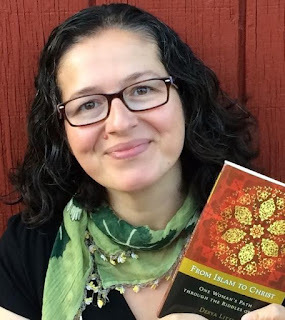 Derya Little has published three books. 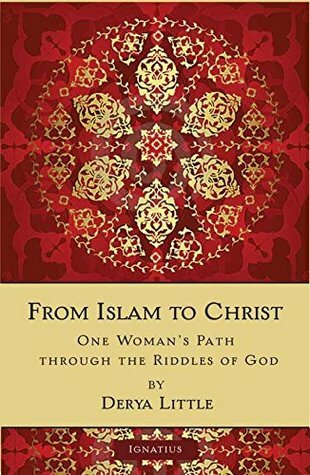 Two fiction and an incredible autobiography; From Islam to Christ: One Woman's Path through the Riddles of God her story is one of academic discovery, and a growing heartfelt faith. She is a Catholic convert, a mother, a wife, a daughter and more. She spent years in academia studying at various universities. 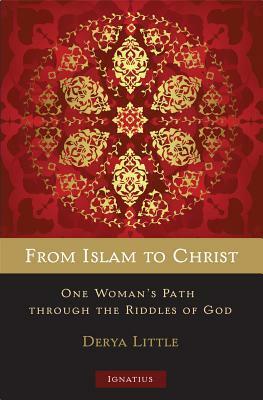 Both her fiction and non-fiction writings exhibit the breadth of her knowledge and also her devout faith. 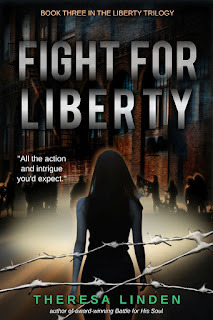 She recently took some time from her busy schedule to answer 20 questions for the readers here at Book Reviews and More. I wanted to write my conversion story, and that was the first time I wrote for fun. Until then everything I wrote was for a class or a degree. I found that writing was actually enjoyable, then I couldn't stop writing. Now, I write almost every day and try to read as much as I can. Success is still very early for me :) My husband is undoubtedly my greatest supporter. I don't know I would have written anything, had he not encouraged me. 3. If you had not become a writer what do you think you would be doing for a living? I have a Phd, but we decided that it would be best for me to stay at home with the kids. Now, when there is a lull in between diaper changes and lego towers, I write. 4. What authors influenced your writing style and format for your fiction? The general concepts come from my faith, but the Chesterton, Lewis and Rowling are the biggest influences in my style. Tolkien, however, is the reason I write fantasy. Chesterton is why I write about my faith. Idea. Mull it over for a while. Play with characters or concepts. Jot down important things on a messy notebook. Outline each chapter. Try to write the entire book in a season (four months or so). Leave it alone for a month. Re-read. Cringe. Make changes. Get a brutally honest friend to read it. Take his advice. Proofread. Let go. 6. If your writing process different when writing nonfiction as compared to writing fiction? Not really. I think, it all comes down to a reasonable outline where I can work on small pieces instead of getting overwhelmed with the task of finishing an entire book. I've just finished a non-fiction on how New Testament women helped me to become a better wife and a mother. Now, I'm working on MG fiction series exploring St. Thomas' five ways for God's existence. I imagine James and Maggie are living happily in Seattle. But I tend to not dwell on them too much, because I need my mind to become a blank slate for new characters. 9. 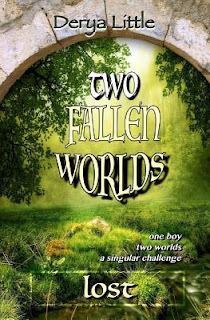 You recently rebranded and republished your fiction series it went from being the Kayan Kronicles to Two Fallen Worlds. What prompted the change in the series name and rebranding? Two reasons: I could finally afford a professional proofreader and many readers told me that the titles were too vague. I hope the novels are better for it, but we shall see. 10. If you could only recommend 10 books to a reader looking to be a well rounded and whole person what books would you suggest? 11. All of your books are available in electronic formats but with that comes bootleg distribution. What are your impressions of eBooks and the distribution of them through torrents and other illegal means? I'm conflicted. Part of me thinks "well, at least people are reading," but other -and much bigger- part of me thinks "I worked hard for these books, and I don't want them to be stolen." 12. Some authors monitor torrent sites and have their publishers contact them to remove their content. Do you do so are have someone do so for you? I don't, but maybe Ignatius Press does. 13. 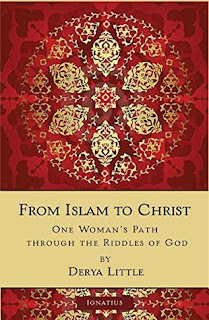 Your book From Islam to Christ: One Woman's Path Through the Riddles of God is currently available on Formed.Org for free. I don't mind it's available for free. I wrote it to be an encouragement to everyone. It's a ministry for me. 14. Who were some of your favorite authors or books in your youth? Jules Verne, Tolkien and Dostoyevsky. I read a lot of Ursula Le Guin, too. Also, quite a few Turkish authors like Orhan Pamuk and Yasar Kemal. I'm enjoying Fr. Schall's and Bishop Sheen's works nowadays. There is always an attempt to read more of St. Thomas, too. The Angelic Doctor is exhaustive. I started reading more Flannery O'Connor. Just recently, I finished A Canticle for Leibowitz. It was an unexpected journey. 16. I once had a university professor state that the true goal of a university education should be to teach one to learn how to think. What would you state should be the goal of higher education and why? Higher education should help us question and think critically. That freedom of thought should help the individual walk towards God, because all scientific inquiry gives an insight to His creation. Alas, higher education of today has moved far from this ideal. 17. You went to university in more than one country, and a few different schools. What professor had the largest impact on your life and why? The Buddhist professor who made us read the Grand Inquisitor (no doubt to push us away from religion) contributed to my conversion immensely - unbeknownst to him, of course. 18. Are there any plans for translated editions of your book? I hope so, but I haven't heard anything concrete. Be subtle. Let the reader chew on the ideas you present. Ask questions with your story and let the imagination wander towards the truth. Derya, thank you for your time. As you can see from her answers, she is a woman of letters. I encourage you to check out both her fiction and her autobiography they are excellent reads. And I hope we see more from her pen soon. I have read this short story twice now, before reading the Chasing Liberty Trilogy and again after. This short story is set before book 1 as a prequel. It is a great little read. It was very interesting reading it again after finishing the trilogy. 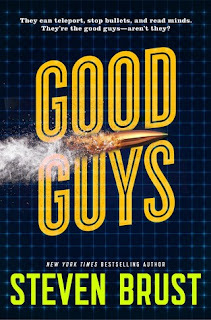 This story is great to read either before of after the series, but if you read it after it will help give some great insight into characters and events that appear at different points in the series. 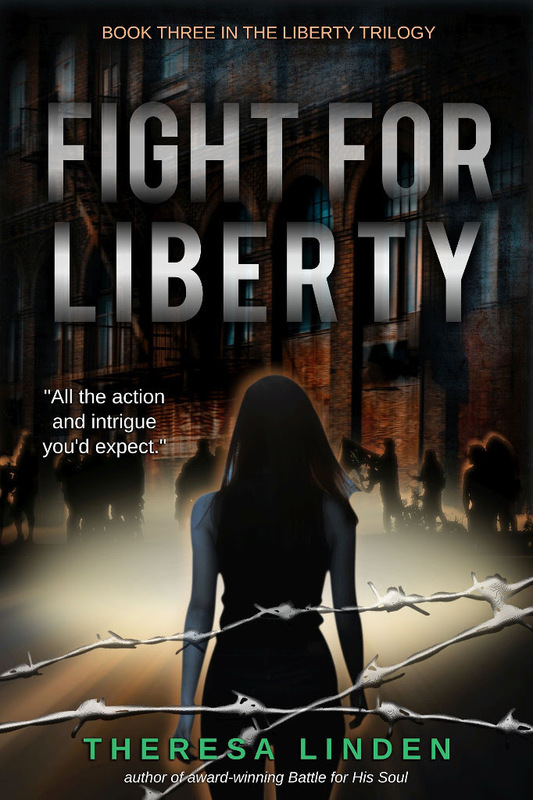 This story is set in the near future, a Totalitarian regime has taken over the world. The population is controlled in small city States. 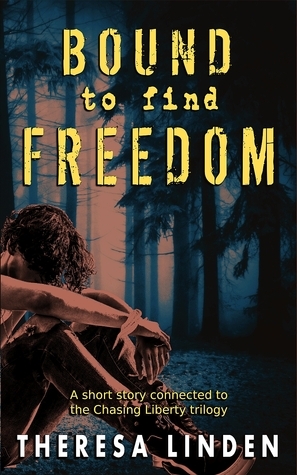 But this story focuses around a thirteen year old boy, Andy, who lives hidden in the wilderness with a surviving group of Christians. They will help others escape if they can and seem open to a different way of life. Andy’s older brother Dedrick has made a commitment to the Moshed and gets to go on dangerous missions. Andy feeling up to this work sneaks off one day, shirking his chores. But soon what he thinks will be a quick trip to join his brother turns far more dangerous than he ever expected. “Andy took it and gulped down cold water. As he handed the canteen back, something occurred to him. Sarkin’s athletic build suggested he could take care of himself, but his strength came more from within. Sarkin had been free, even while living in Aldonia—because he’d mastered himself. Despite the consequences, he did what he thought was right, spoke what he thought was true, and didn’t act impulsively on his desires. 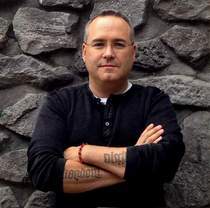 Andy get’s a glimpse of what it means to be really free, and what it means truly live to serve others. But this lesson came on the tail of a number of mistakes. Mistakes that could have cost Andy a great deal personally. 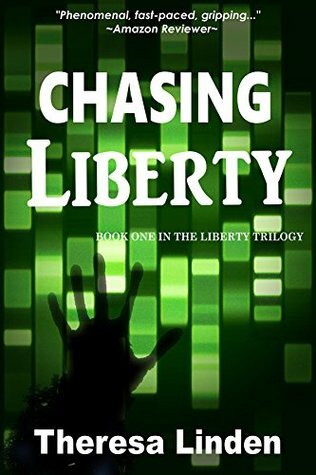 This story has some of my favorite characters from the series outside of Liberty herself. We have encounters with Andy, Dedrick, and Sarkin. We also get a different look at the Torva. I consider Theresa Linden a master wordsmith. I cannot recall the last time I found an author I loved and devoured all of their works in such a short period of time. I have read all of her books and there is not one that I consider anything less than an excellent read. I have greatly appreciated everything I have read. Linden's works remind me most of two other excellent authors, both of whom won the Newbery Medal twice, they are Madeleine L'Engle and Lois Lowry. 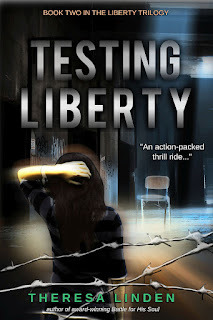 And I believe that in time Linden's series will come to be considered classics in youth literature. And should be on the curriculum for Children's Lit courses and in schools! Last year I read 380 books, and Chasing Liberty, was number 2 on my top 10 list for the year! 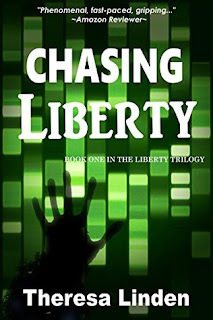 In a previous review I stated: "If we were to do a direct comparison between L'Engle and Linden then the Chasing Liberty Series would be the Kairos series and the West Brothers would be the Chronos series. And in many ways Liberty reminds me of Meg Murry in many ways, but in a much more dystopian future. 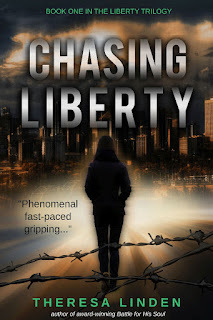 And if we were to compare Chasing Liberty to Lois Lowry's writings it is much like The Giver, except with a clear-cut Christian under pinning. 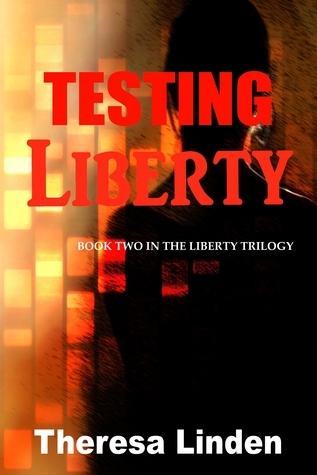 And from what I have read both series are wonderfully written." And the more I read the more I stand by that statement. Therefore I can highly recommend this book, this series and all of Linden’s writings! "Ireland has many saints - almost a countless number - and three great ones. The great ones are Patrick, Brigid, and Colmcille. These three are like sparkling jewels in a crown, and it would be hard to say which sparkled the most; perhaps it would depend on the light in which you looked at the jewels. In one light, at any rate, Colmcille sparkles the brightest; Irishness. He loved Ireland with all his might and hated to having to leave it for Scotland, and with - another thing - he was very Irish in himself." This book is a wonderful read and even though it overlapped almost completed with Twenty Tales of Irish Saints I am very thankful to have tracked down a copy and been able to read it. I discovered the writings of Curtayne through the aforementioned Twenty Tales, and in the last few months have tracked down 11 of her works, read 7 and now reviewed 7. Every time I finish one of her works I begin the quest anew to find and read all her books. I give this book and all her books I have read to date my highest recommendation. If you can lay your hands on them give them a read, you will be in for a treat. "I never know where an idea is going to come from-what combination of reading, life, research, and random events is going to make me go, "Oh, hey, I know what'd be fun." But sometimes I can identify the final piece of it. The idea for this book came from a conversation with my friend and poker teacher Chris "Pokerfox" Wallace. We were discussing a writing project of his, and he mentioned some things that he was doing that made me go, "Oh, wow, I gotta try that." So I stole it. How much of what I grabbed and ran through my own process would be recognizable from the idea he gave me? I don't know. But if his work makes its way into the world, and you read it, and something strikes you as familiar, I want you to know that he didn't get it from me, I got it from him. Thanks, Fox." It would be interesting to read Chris Wallac's book if it is every published and compare it to this volume. It would an academic undertaking much like comparing C.S. 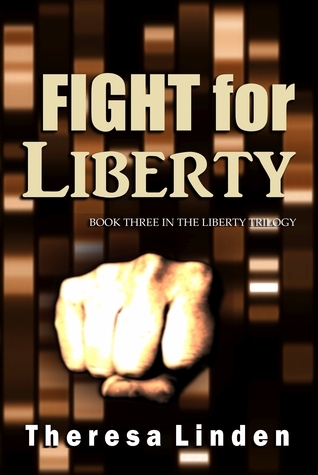 Lewis's Science fiction trilogy with the works of Olaf Stapledon's. But back to the Good Guys. 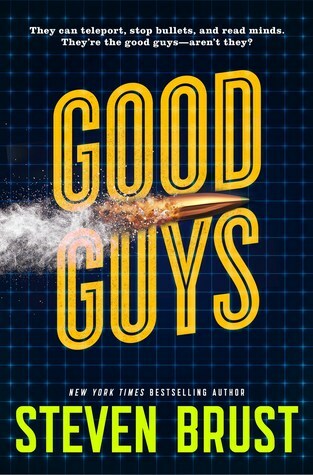 This book was a really fun read. 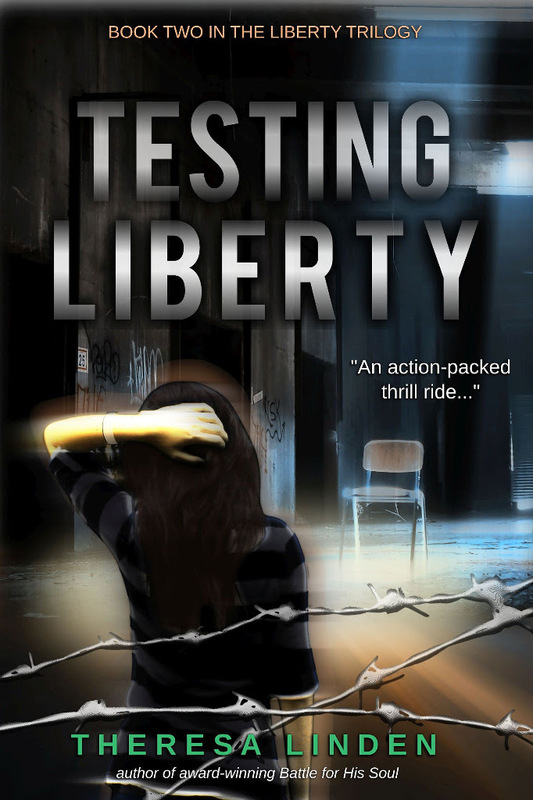 It has a fast pace, and once you are hooked you will not want to put it down. The main premise is that there is magic in the world, but most people are not aware of it. It follows a small crew who work for the Foundation, who try and cover up or prevent public notice of the use of magic. And track down those who are using it outside the approved guidelines. Each member of the crew has special abilities and are certified for this type of field work. The Foundation has a mixed history and is the off shoot of an organization called the Roma Vindices Mystici. Apparently the split took place during the reign of Franco in Spain. In this adventure the bodies start piling up and as each is killed in a more gruesome way than the previous. But as the team investigates they are noticing a pattern and a trend. To some extent the victims seem to warrant it in some ways. Our lead is Donovan, sort of a magic detective cross between Mike hammer and Spencer for Hire. He is backed up by Marci who has some very serious magic skills, both for protecting the team, and tracing magic that has been used, and how it was used, even days after the events. And then there is Hippy Chick aka Susan. In a world with magic that most are unaware of it. But something about this investigation is off, and the team find themselves targets. Can they solve the mystery, end the killings and protect themselves? You will need to read to find out. The characters in this book are wonderful. And I hope we get to encounter them again. 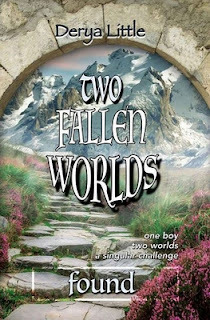 The pace is excellent and the story at times whimsical and extremely entertaining. Another great read by a master with the pen! Alice Curtayne has written about Saint Brigid of Ireland many times. There is a chapter in her book Twenty Tales of Irish Saints, a nearly identical chapter in Irish Saints for Boys and Girls, and yet another in More Tales of Irish Saints. She also published the full-length biography Saint Brigid of Ireland in 1934. And then a few years later this booklet for the Catholic Truth Society. 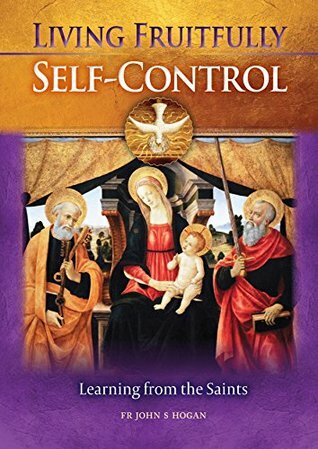 At first, I wondered if this booklet was just an excerpt from some of her other writings about Saint Brigid, but that is not the case, at least from the four books mentioned above. With every book or booklet, I read by Curtayne I want to read more. I am thankful this one is available online currently and was much easier to access than many of her works. "CERTAINTY attaches to Irish records only from the coming of Saint Patrick. Before that, all is cloudy surmise; after it, the nation begins to emerge in a clear light. In that early clarity of record three names linked together will stand out for all time. No one can write our Irish history without reference to them. No account of our native literature can be presented if they be ignored, for the three have been our abiding inspiration through the ages. No account, even of native art, can be written without explaining them. Archaeologists work backwards and arrive at them. Geographers have to consider them, for these three names are everywhere woven into the topography of the country. If, therefore, through some mystery of iniquity the Church were silenced in Ireland and there were an end to native literature and art, still the very stones would cry out those names; wells, ruins, raths, and town-lands would tell their story. Mountains would have to be levelled to blot out their memory. These three upon whom abut all our history, literature, art, building and topography are: Patrick, Brigid, and Columcille (or Columba). Their memory is our spiritual banner. When that flag is surrendered, the Gael is no more." "Every one of her nine or ten first biographers assigns a different date to her birth, but no date is very far distant from the year 450. One must, therefore, be content with saying that she was born about the middle of the fifth century. The new chronology of Patrick's life, outcome of extensive research, places his death in the year 461. This makes it impossible for Saint Patrick to have known Brigid in her maturity. As a fact, in the oldest "Lives" of the Apostle, she is mentioned only once. She can have been little more than a child when he died." "If I begin by saying, Brigid was a flame, I risk the charge of taking a caption from the cinema, yet that is the term used by her first biographers in describing her. Her singularity must be emphasized. The idea of perpetuating her memory by keeping a fire constantly burning as a symbol of her was strictly appropriate. All who approached her in life testified that she communicated a sort of illumination and warmth. She stood out luminously against a background of gloom. Some authorities affirm that her name means "fiery arrow". She certainly shot up like a dart of fire out of utter darkness." This booklet is a clear concise look at Brigid's life and lasting impact. It concludes with a synopsis of the history of the Brigidine Nun's. 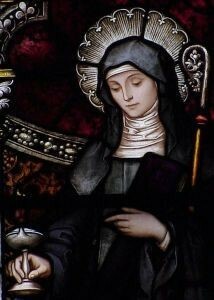 And two prayers for devotion to Saint Brigid. I have read this booklet through a couple of times now. 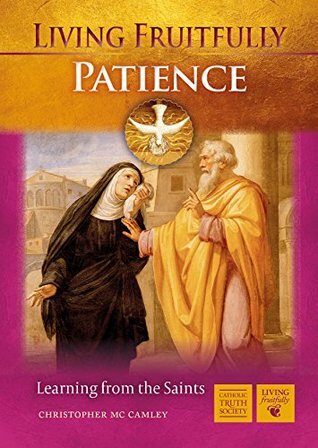 And am currently reading it with my oldest daughter, she has chosen Saint Brigid as her confirmation saint and we are working through Curtayne's works on Saint Brigid as our start point. And it is a wonderful place to begin. Like all Curtayne's works I recommend you give this a read. It is easily read over of coffee or tea break. It can be read again and again for inspiration and motivation. Another wonderful booklet from a master wordsmith and gifted hagiographer. It should be noted this booklet is available online on several sites. You can find it here, here, and here in various formats as just a sampling. "While I readily admit that many things in life bring me great pleasure and delight - God and family being at the top of that list - I find extreme pleasure in fantasy literature, such as Lord of the Rings and The Narnia Chronicles, as well as in seeing my former students do well in life and in academic pursuits. 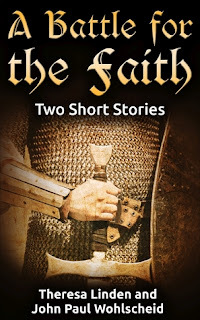 These latter two elements are combined in the work of my former student John Paul Wohlscheid, along with his friend Theresa Linden, in their stories "A Matter of Silence" and "A Matter of Action", which combine to form their exciting tale A Battle for the Faith. One of the things that makes a story outstanding is that it depicts longstanding and eternal struggles in new and exciting ways. This is what Linden and Wohlscheid have done." "May you be blessed with leaders who refuse to remain silent in the face of evil. Fight well, my friend. 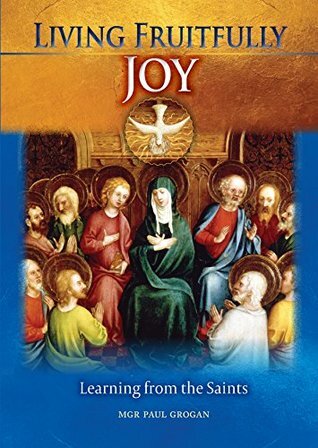 The Fathers gaze down upon you with joy." ""I am asking for this holy war because we are not just fighting a battle against a mortal enemy of this world. It is far more than that. We are fighting a spiritual battle against unseen forces that are just as important and just as deadly as any mortal enemy. Unless we rise to this challenge now, we will have no hope of defeating defeating the evil that faces us at a later date. Our Fathers, who passed the Faith on to us, died and suffered great torment to protect and spread that Faith. How can we, who have the fullness of that Faith, fail to do the same? My people and the Dawn People have already shed our blood to protect that Faith. All I ask is for your help, your aid and your prayers. Together, united in Faith, there is no one who can defeat us, but separated into many different factions, we will be slaughtered like sheep." He is trying to rouse the council from the city of virtue to action. The two stories are really one. And to be honest I would love to see more set in this place and time. They fit very well together; and are a very enjoyable read. In some ways it read like a cross between a tale of William Wallace and some of the battles in C.S. Lewis's Narnia. 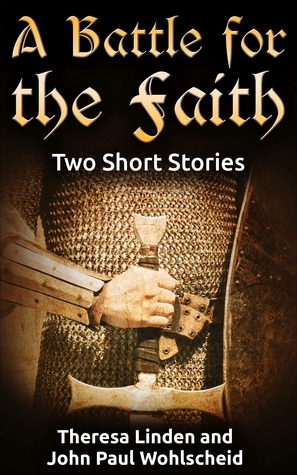 A couple of great short stories available for an excellent price so why not check them out. I have become fascinated with the writings of Alice Curtayne. I first encountered the writings of Alice Curtayne through her book Twenty Tales of Irish Saints, I was immediately captivated by her writing style and her style as a hagiographer. Not since working through all the works of J.F. Powers for an independent reading course have I been so desperate to build a complete collection of an authors works. Only two of her books are still in print in North America, and many never had imprinting's here. Finding her books has not been easy. I have been scouring online libraries and book stores trying to track them down. And that was after trying to get them through inter library loans. I have been able to track down 10 of her works to date and have read 6 of them. And of those 6 I have read each of them at least twice through. But each time I lay my hands on one I am grateful for it. And this one is no exception to that rule. This volume is a little history of the Our Lady of Knock apparitions, the devotion to Knock, and the shrine. There are 16 pages of text, in a little booklet style track. The print is very small to allow for the compact nature. The original cost of this booklet was $0.25 when it was printed in 1956 and I paid almost 100 times that in order to track it down, and it was worth every penny. There are a number of black and white photos interspersed with the text some half page some full page. The cover does not even contain the authors name. 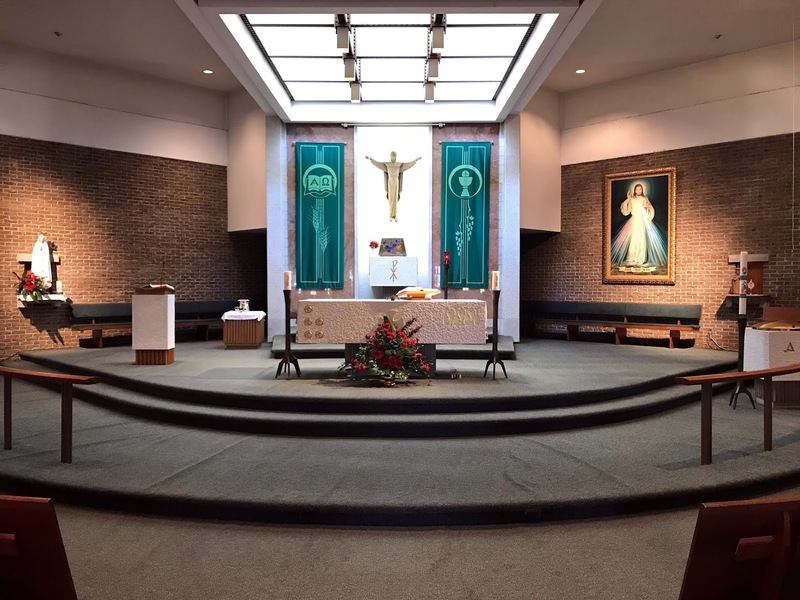 Being of Irish Catholic descent I have had a knowledge of and devotion to our Lady of Knock since high school. But I did not know much about the apparition or devotion before reading this booklet. There is so much information in such a small volume. I read this through twice, and then read it again with my son, who is 10. We both loved the booklet and want to read more about Knock because of this booklet. Curtayne does an amazing job of presenting the history of the appearance and also analyzing it. She is impartial in weighing the arguments and presenting the facts. This is a wonderful little booklet. I wish it was still in print or available as an eBook there are so many I would recommend this book to. As mentioned laying your hands upon Alice's works, especially in North America is not an easy task, but everything I have read is excellent. This booklet is wonderful, it was worth tracking down and if you can lay your hands on it I give it top marks.